Buy online our clothing and fashion fabric 'Lampone' Pink Silk Satin Stretch, Made in Italy. Our silk stretch satin, made of 94% pure silk and 6% elastan, is a marvellous fabric that combines the sheen of silk with the comfort of stretch. It is one of our most popular satin fabrics and is ideal for evening gowns, mermaid ceremony dress, blouses, lingerie or a smart, lightweight jackets. Simply magnificent. 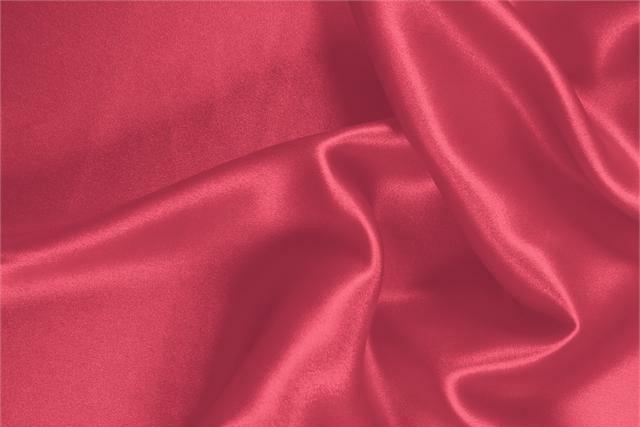 Lampone Pink Silk Satin Stretch Plain fabric for Ceremony dress, Dress, Party dress, Shirt, Underwear.